After a long trip we have been rewarded with a lovely gite... tastefully decorated and extremely well equipped..., fantastic views and excellent hospitality ! Beautiful location and perfectly equipped & elegant gite ! For anyone who is interested, there are tennis courts in Rabastens which is a pretty little town worth a visit in its own right. A lovely house with a fine view and the pool is magnificent. We had a very relaxing two weeks with fine weather ….. recommended: Cordes and Carcassonne, Albi and its cathedral, Rabastens Saturday market, Lautrec where the garlic festival was great…….. The house is excellent…… a real home…..This part of France is stunning and fascinating and we will have to come back again and again…. ! Our visit could not have been more perfect in mesmerising setting. We relished coming back at the end of a day leaving our event filled day, the pool revived us! Our favorites were Albi, Cordes, the Sunday market in Lisle & the amazing painted church in Rabastens………….. Thank you very much for your care and hospitality ! We have enjoyed our sejour in « Les Tournesols », … it’s so beautifully furnished …. 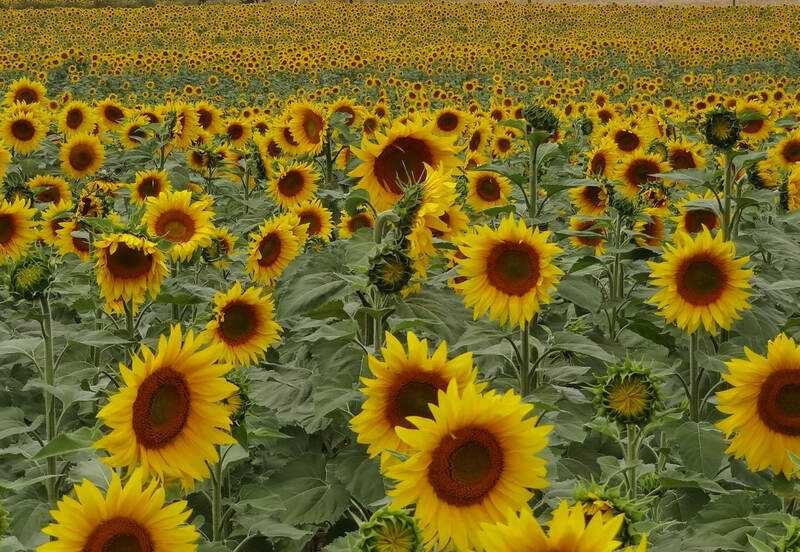 Lovely pool, wonderful evening barbecues, so many beautiful places to explore….we hired bikes in Gaillac and cycled by the river Tarn & to sleepy villages across fields of sunflowers…….Oh and the stars! We saw so many constellations we don’t normally see in the UK ……..and shooting stars too! Great accommodation, fantastic location, friendly people… ! The weather, one of the hottest summers on record, has meant we have been in a continuous state of “outside living”, able to appreciate the beauty of the sunsets and peace of the rural landscape………. Thank you for the holiday of a lifetime…! Returning to England (plus rain) is hard.…To all who follow, enjoy this lovely home as much as we have !